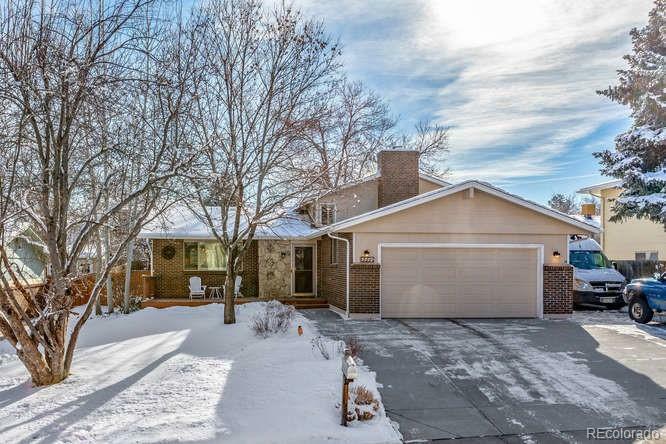 Beautiful home with updated kitchen, baths, carpeting and flooring on a quiet cul-de-sac. In immaculate condition with many wonderful upgrades and attention to detail. Hardwood floors throughout the main level, plantation shutters, updated kitchen with stainless appliances and granite. Newer windows, newer Class IV hail-resistant roof, main sewer line replaced, newer storage shed, newer driveway and sidewalk with extended pad to park your RV or boat. Security system with "smart features (wireless app-controlled thermostat, door locks, garage door opener, doorbell with camera and speaker). Step out onto the newer large back deck to entertain and enjoy the large fenced yard with mature trees, landscaping and a full sprinkler system. You will feel at home the minute you step into this wonderful house! Short walk to the Centennial Link and Highline Canal trails. Walk to the highly-rated Lenski Elementary and Newton Middle schools. Close to DTC and Southglenn. Great finished basement! Offered by Mb Bingham & Co.